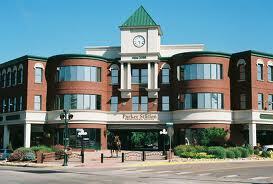 Parker CO was recently voted the 29th best place to live in the US according to Money Magazine. COME ON! That's all the better Parker ranks? You gotta wonder how they come up with this stuff. Supposedly SUPERIOR CO was #1. Nothing against Superior, but that is a pretty small town and although the quality of life must be great, they can't have the amenities that Parker CO has. They can't have the high quality luxury homes for sale that Parker CO has. There are not a lot of things the Parker doesn't have (O.K. a bowling alley is one example of a need but we can live without it too.) We are just about the right size town that can offer amenities most people want and need without having too many unfulfilled needs or too much of a good thing too. Parker deserves to the be in the top 10 at least!